Logline: On a dreary night, in a dilapidated seaside town, two men who have not seen each other for over a decade will reunite to face a horror that their ancestors have lain for them. Neither will come out unchanged. An unbridled horror from the past emerges to grab hold of two men that were once friends. After the death of his mother, Esme, Michael feels the need to return to his childhood home. What he doesn’t expect is that Ben, the man who cared for Esme throughout most of her life, would be there waiting for him. Ben has been given the house, Michael demands the house but the building has unfinished business with them both. Along a dark and crooked coastline, the house has sat for generations gathering a long and bloodied history; a history that needs the willpower of both Ben and Michael to acknowledge it and to resist becoming engulfed by it. Spirits of the dead return to draw them back to an era of slavery, a past that Britain would rather ignore and forget. Ben and Michael will be forced to confront their own past – as well as their ancestry – to save their lives and the souls of those that reside in the shadows. Unravelling the mystery is only one part of the challenge; connecting the past with the future reveals that more than just physical property is inherited and that the sins of the father will be visited upon their sons. What exists in this house is not what either of them expects nor something they could ever be prepared for. 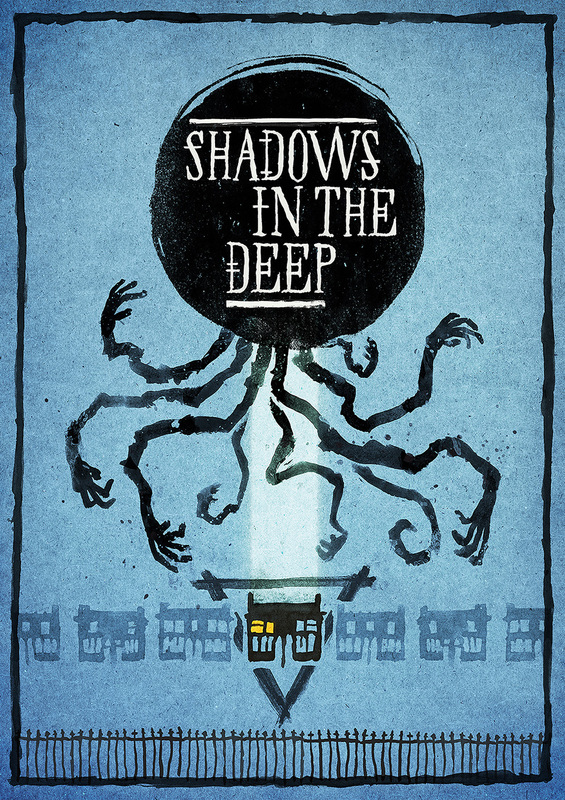 Shadows in the Deep was selected to be a part of Creative England’s iFeatures 2016 Feature Film Development program.